Burger n fries on a stick. 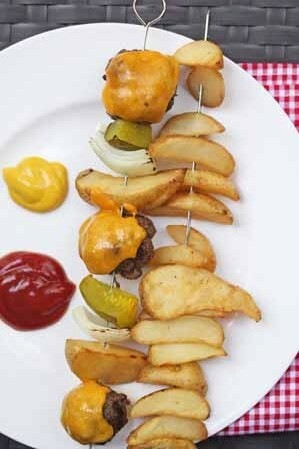 Little burger meatballs with a tiny slice of cheese (added at the end), with onions, pickles and potato wedges. Serve as is, or slip the cheeseburger meatballs onto slider buns and enjoy! 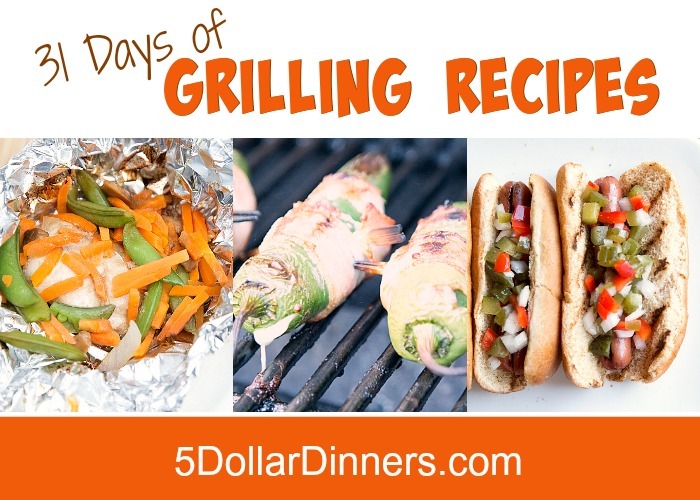 See the full Grilling Recipe for Cheeseburger ‘n Fries Kebabs here! Oh that is so creative! I love it! !